We are currently witnessing the early stages of a tectonic shift in the market for mobility services. Organizations small and large are diving in every week and becoming operators in a space they wouldn't have necessarily considered ten years ago. 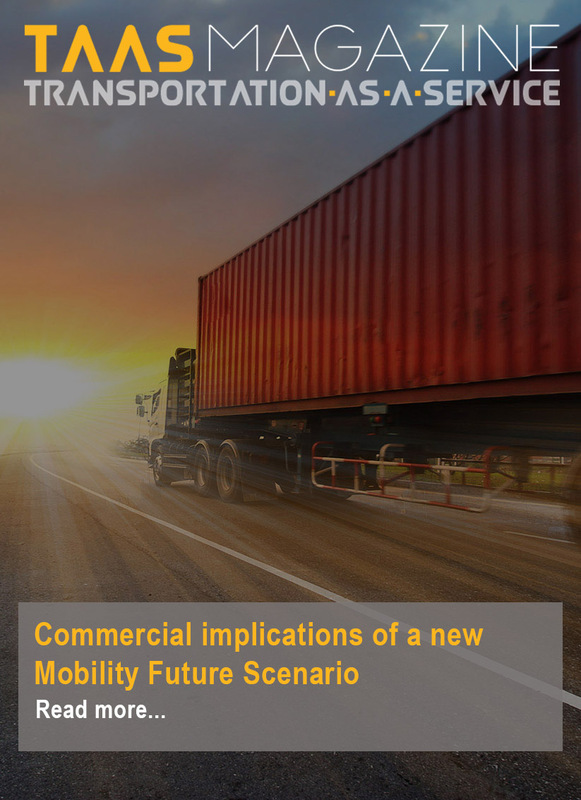 A McKinsey study published in 2016 concluded that new mobility services would generate revenues of USD 1.5 trillion in 2030, compared to USD 30 billion at that time. To give a reference point, the entire automotive market, including car sales and aftermarket products and services, currently stands at about USD 3.5 trillion and it took close to 110 years to create that much value. A 1.5 trillion dollar market will appear in about 15 years, representing a compound annual growth rate of 30% over an extended period. Simply put, this could be one of the biggest opportunities we will see in our lifetime. 2. The shift from product to services in the mobility industry is only beginning. Historically, the companies that have owned the lion's share of the mobility space have been car manufacturers. Their growth was built on a model where individual car ownership was the de facto option, with the only day-to-day alternative being public transit in high density areas. Now, ride-hailing services offer extremely convenient transport options around the globe and free-floating carsharing offers a cheap and flexible option for most commuters and people who need to get around a city. However, when a service like Uber has the worst public image period in its history and still reports that revenues are up 17% from the previous quarterand car2go reports utilization up 40% from a year earlier, one can only infer that the appetite for mobility services is still far from being satisfied globally. Very far. 3. People who don't use new mobility services are likely to start using them. Recent US data indicates, without much surprise, that house prices in US cities are growing faster than wages. In fact, in 80% of US cities, they are growing at twice the rate of wages and this isn't a new phenomenon. Between 1940 and 2000, the median home price in the US went from $2,938 to $119,600, indicating that the fast increase in cost of housing is here to stay and that, inevitably, the amount of discretionary spending for the average household should diminish if all else stays equal. The United States Bureau of Labor Statistics reports that transportation, including car ownership, is the second largest expenditure for the average consumer after lodging. It is also not nearly as high on Maslow's hierarchy of needs for most city dwellers as the first expenditure (lodging) and the third (food). Therefore, it is only logical that people are increasingly looking to transport to shave some costs. As such, they are likely to use new mobility offerings if they are more economical and about as convenient as personal car ownership. Until recently, this was only an educated guess. However, cities with developed new mobility options like Vancouver now give us a glimpse of the future, where urban populations will rise much faster than vehicle count. Vancouver now has about 3,000 shared cars, including 2 large free-floating services with more than 1,000 vehicles. Between 2012 and 2016, the city added approximately 10,000 cars (3.8% increase) for a population growth of about 33,000 people (5.2% increase), which means it added about 0.3 cars per new inhabitant over 4 years. This represents a 27% decrease over the 0.41 cars per person in the city in 2012. While this data alone isn't enough to conclude that there is a correlation between that and the strong carsharing presence, we can infer that 27% more people will be likely to use new mobility services because they do not own a vehicle. 4. People who use new mobility services will continue increasing their usage. According to a study conducted by McKinsey, 96% of carsharing users plan on either maintaining their use or increasing it in the next 2 years, with 67% planning on an increase, while 95% of ride-hailing users will maintain or increase their use. Therefore, it is still difficult to accurately predict what the Lifetime Value ("LTV") of a customer is. The one thing we know for certain is that this LTV is trending upwards, which is a great sign for the industry. 5. Technology is available and better than ever. High end tech offerings are now readily available to power large mobility services. You no longer need to spend millions of dollars on technology, while making tons of development mistakes along the way, to get a service up and running. Today, a tech provider like Vulog offers a solution that powers over 10 million trips per year for dozens of mobility services around the globe. Therefore, the best features developed for projects all over the world are now baked into a platform that's readily available and you get a partner with well over a decade worth of experience in the space as an added bonus. Not a bad deal.